Elastagen is the first company in the world to have succeeded in the scalable, commercial, clinical-grade manufacture of the full-length recombinant human elastin protein tropoelastin. Elastin is a critical component of the skin, present as fibres that confer unique physical properties. Elastin enables the skin to endure constant stress, especially in areas requiring repeated stretch and recoil such as at the joints. Elastagen was founded following the acquisition of intellectual property rights to the elastin technology developed by Professor Weiss at the University of Sydney. The company has since successfully attracted capital from a number of leading Australian and overseas life science venture capital groups. Tropoelastin has significant advantages for a range of medical applications, including its unique physical elastic properties and ability to support cell growth and tissue repair. In addition, as a recombinant human biomaterial, Elastagen’s tropoelastin-based polymers have an ideal biocompatibility profile and no immune rejection problems. Elastagen has an advanced portfolio of products, built on scientific and clinical excellence, that has been validated by preclinical and clinical studies. Elastagen used a NSW Medical Devices Fund grant received in 2013 to undertake further clinical studies of its promising technology to progress the product closer to regulatory approval. Elastagen’s operations have since expanded from its Australian base to include production in Europe and clinical operations in the UK. The company was recently sold to Dublin-headquartered Allergan for approximately A$330 million, which will progress commercialisation of this innovative product. In Australia, Allergan employs over 190 people and is headquartered in Sydney. The sale has added development capabilities to Allergan’s Australian activities and positioned Elastagen to be the first Medical Devices Fund beneficiary to pay back NSW’s investment with interest. The money returned by Elastagen will be made available to the Medical Devices Fund, allowing the fund to support the development of more innovative medical technologies in NSW. 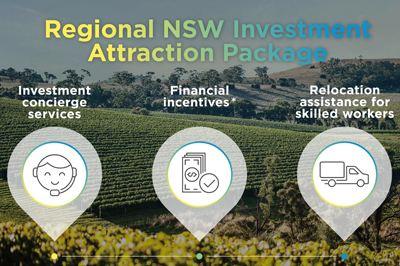 NSW’s investment through the Medical Devices Fund has been a critical factor in the success of medical technology companies such as Elastagen, providing capital to ensure innovation can be advanced locally and not forced offshore before its potential is fully realised.